Mark Cain is a West Australian saxophonist, instrument maker and composer. He is a musical non-conformist whose career spans cross-cultural and experimental music, dance and theatre. Mark’s trademark is his use of simple, commonly available materials to create imaginative and often whimsical instruments whose surprising sounds confound their origins. He has worked in school students and indigenous and regional communities building instruments from ‘found’ or recycled materials and collaboratively devising performances that explore local themes. For decades Cain has worked as a catalyst bringing together musicians from different parts of the world including a 30-year involvement with Kulcha in Fremantle and the Ethnic Music Centre, North Perth. In recent years he has collaborated with Persian Music Perth to promote an outstanding younger generation of migrant Iranian musicians to a broader Australian audience. He is currently a member of Eastwinds and the Praashekh Quartet. Mark has recently worked with schools developing sound gardens in the school grounds. wondrous orchestra of outrageous and innovative wind and percussion instruments. • Gain an insight into how instruments are made and played. • Learn some of the science of instrument making and sound production. 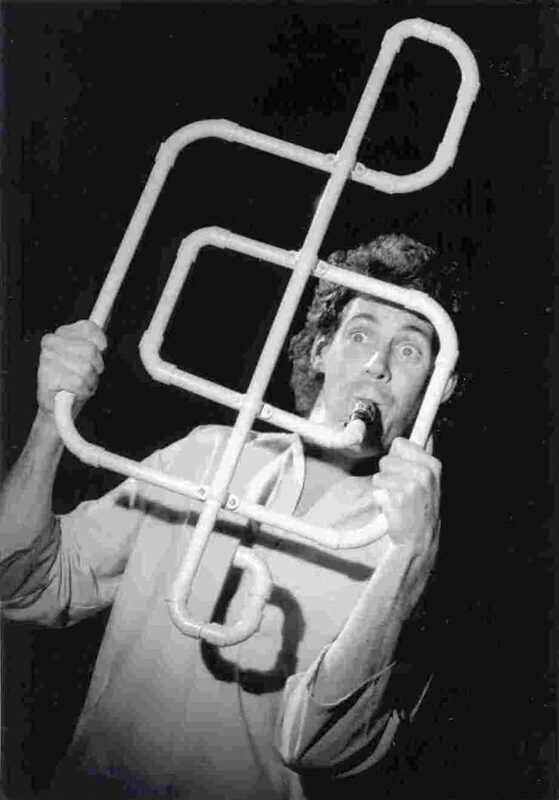 • Participate in playing instruments from Mark’s Plastic Fantastic Orchestra.